Keep life simple with an extended stay at the Hawthorn Suites By Wyndham McAllen. Located less than five minutes from McAllen-Miller International Airport, and offering complimentary airport shuttle and complimentary local shuttle service daily from 6 a.m. until 11 p.m., this facility provides easy access to business parks, shopping, dining and entertainment. Nearby companies include: GE Engine Systems, Panasonic Corp. of North America, Motorola, Sharp Electronics, Jabil Global Services and more. Start your day with the complimentary hot breakfast buffet. Take advantage of the fitness center, complimentary wireless Internet access, business center, outdoor pool, barbecue area, pantry store and coin-op laundry room. 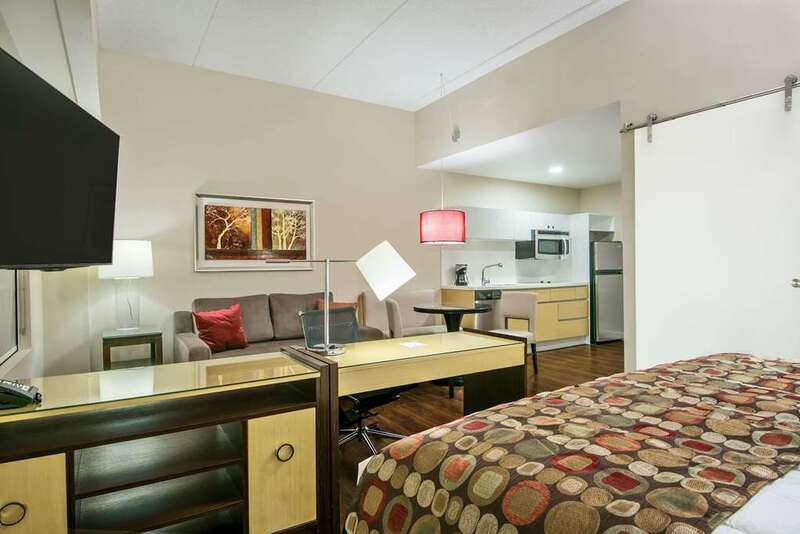 All guest suites feature fully equipped kitchens and spacious work desk. The front desk staff is bi-lingual. Event rooms for up to 120 people are available to reserve on-site. For your comfort, pets and smoking are prohibited at this location.